Kids love to join in the Mardi Gras activities also each year!! 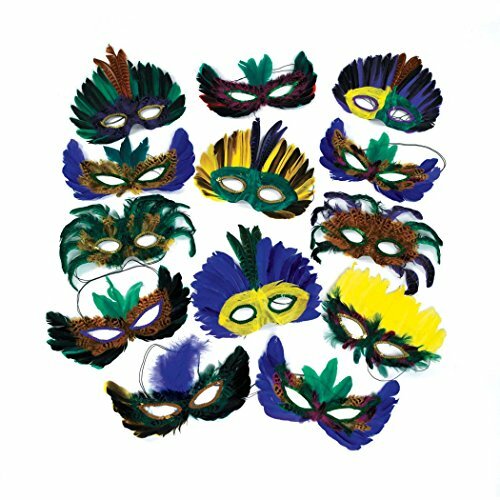 Here are a few fun activities you can do to make Mardi Gras fun for the whole family! First you must look the part. 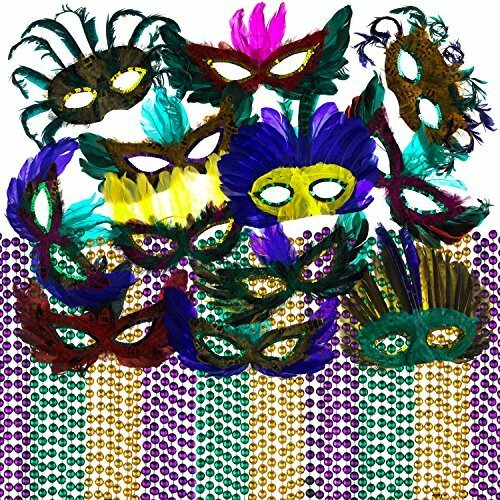 You can look here for a free coloring sheet of a Mardi Gras Mask to create your own. Then of course, what is Mardi Gras without a necklace!? Have the kids make a Macaroni Mardi Gras Necklace. Wear purple for justice, green for faith, and gold for power. Now that you look the part. Have your kids friends come over for a parade. Ask if they have any left over throws from Christmas Parades they may have gone to. Buy a few bags of cheap candy, or perhaps you may have grabbed a few on clearance after the holidays. 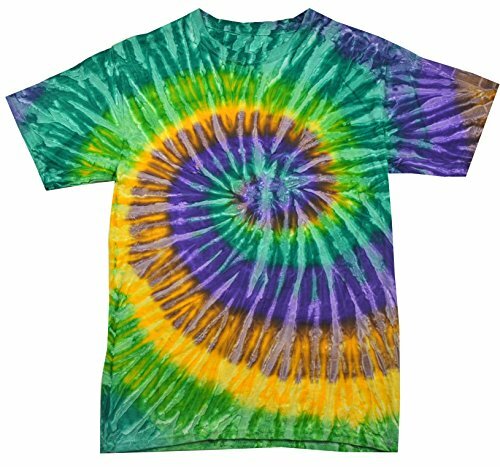 Have everyone dress in the traditional colors of Mardia Gras. You can decorate one truck pulling a trailer then other’s could pull wagons or ride scooters. Then, have a parade through your neighborhood. Make sure you have adult supervision to keep the kids together and safe. Watch over the years this tradition grow in your neighborhood! Buy balloons, streamers, and tableware in the traditional colors of purple, green, and gold. Play Cajun music and have Mardi Gras treats. If you really want to be daring, paint the kids’ faces purple, green, and gold. During the party crown two people king and queen of the parade. This can be based on best dressed, vote, or random drawing. Put purple beads and one gold bead into a bag for the girls to draw from, whoever picks gold is the queen. Have green beads and one gold bead for the boys, again whoever picks gold is the king. Musical Chairs ~ Play Mardi Gras music during a traditional game of musical chairs. 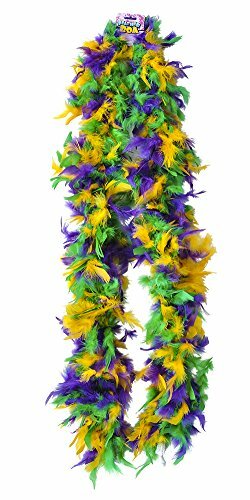 Don’t say ‘Mardi Gras’ ~ Mum’s the word when it comes to saying ‘Mardi Gras’. As you greet each guest, give each two beads around their neck. 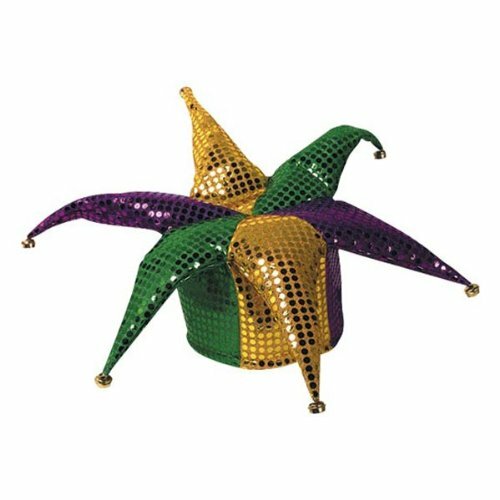 Once all of your guests have arrived, tell everyone that they can’t say ‘Mardi Gras’ for the duration of the party. If anyone hears someone else saying the forbidden word, he or she can steal a bead. At the end of the party whoever has the most beads wins. Pass the Baby ~ Just like ‘Hot Potato’ instead of passing a potato, the kids can pass a baby doll while Cajun music plays. When the music stops, the kid holding the baby is out. The game continues until only one child is remaining. Really it does not take a lot to impress a kid to have a little fun. Just pick one or two activities this year and work yourself up to having a kid friendly Mardi Gras every year! Order a few items off Amazon and have lots of fun!!! That sounds like fun. I would love to go to Mardi Gras some day. These are great ideas! It’s fun to see someone’s reaction when the ‘forbidden’ word is said! Those are good ideas. I like the parade. Very cute! What great ideas to get this tradition going for kids and families! Will definitely keep these in mind. Aw, the kids would love to have a parade! That is a super bunch of ideas. Thanks so much, I have something to work on for Mardi Gras now! Mardi Gras is on my to do or should I say Bucket list. It’s always been something I have wanted to do!! 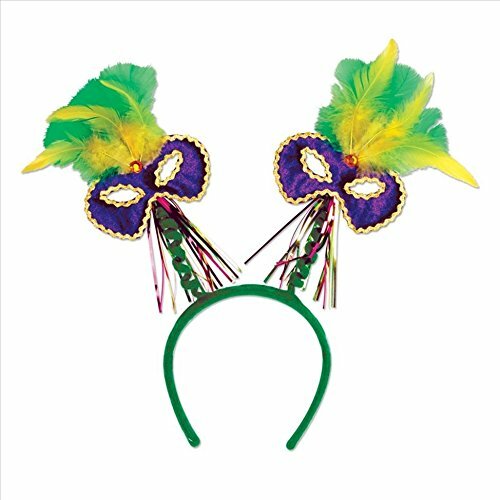 I never considered celebrating Mardi Gras with kids, some fun treats and colorful masks and this could be a hit! Thanks for posting! 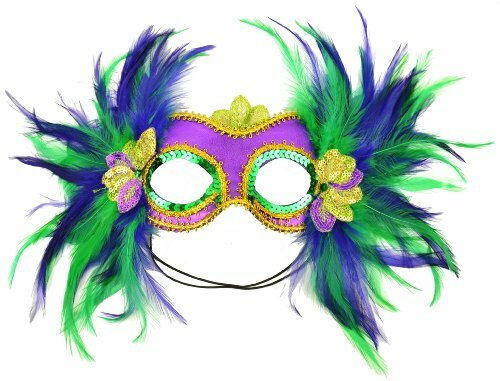 thanks for the wonderful ideas, my children love the masks but Mardi Gras has always seemed to be to adult oriented imo, this makes it kid friendly. My local Dollar Tree has a ton of adorable Mardi Gras things including crowns and beads. I was surprised because I don’t remember seeing such a big section before. Those games sound like so much fun! Great for adapting to any type of party or celebration too! My kids are going to love doing these things! Cool! Sounds like fun. Thanks. Very Cute! Cute ideas and ways to use all those left over beads! Sounds and looks really fun! Heck even for the parents! This looks and sounds like fun. My grandkids would have a ball. Thanks for the information. Mardi Gras wasn’t a big celebration day where I grew up. The parade idea is really cute and it would be really sweet if a neighborhood made it a tradition. What fun ideas to get the kids involved too. Oops. Missed it for this year. Will try to remember next year. These are some great ideas. My daughter always loved dressing up and face painting. Wish I had thought of this when she was little. That sounds like a lot of fun for the kids. It’s always fun to celebrate, especially the face painting. A Mardi Gras party is perfect for a February day. I like the pic of the car all decorated for Mardi Gras. Oh I like the parade idea. I often think of the naughty Mardi gras (flashing) which is not kid friendly but this is a nice alternative. This sounds so great, I would like to go down and see this in action. Thanks for enlightening me on the great activities in store for the kids. These are great ideas and look like a lot of fun. I would love to go to the Mardi Gras in New Orleans if I ever had the chance! Thanks for posting. i would love to do this stuff with my kids! We don’t have Mardi Gras in soggy old Ireland but I might pinch some of these ideas for St. Patrick’s Day! Great ideas! My son is 8 and has ASD so beads are right up his alley for crafts. He loves to color too. Cute ideas. The kids here usually do something in school but these are neat ideas for home. 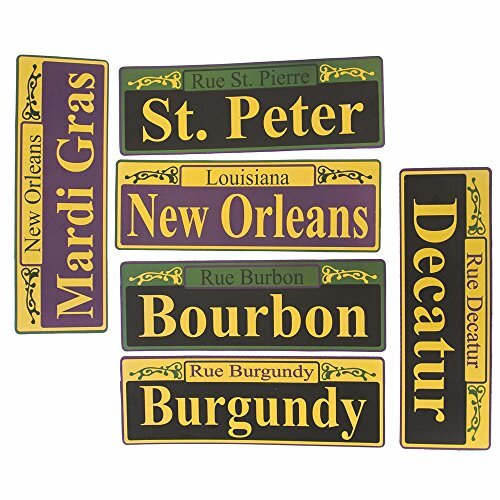 There is no parade here for March Gras but it would be nice to have one. What fun party idea for many occasions in addition to Mardi Gras. I love all these terrific ideas. Thank you so much for sharing! Great Mardi Gras ideas! If I have the kids string their own beads it could occupy them for awhile! Thanks for the suggestions. So fun!! Its such an adult theme that I would’ve never thought to make it kid friendly!! I love the game ideas!! When is Mardi Gras this year? It moves around. My grandson would love to participate in these activities. I’m going to suggest some of these ideas to his pre-school. These look like good ideas, but it’s hard to teach what it means when there is no celebrations but an hour away. I am glad the parade is on tv or they would not know why they are even celebrating. Sounds like fun. It’s a little cold and snowy here to have a parade. I love the passing the baby game. That would be a great game to play on family night. Great suggestions!! 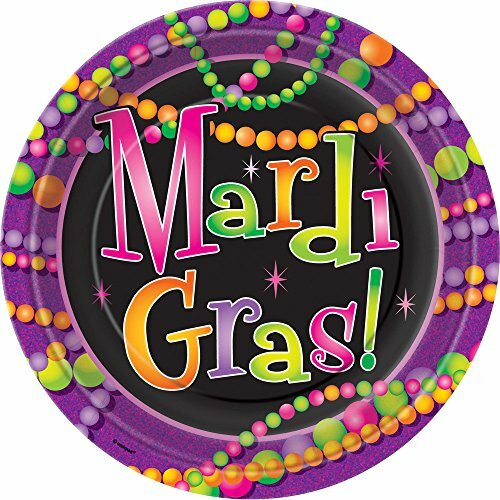 We live in Mardi Gras country and are always doing Mardi Gras activities during Carnival season. These suggestions will come in handy! These are some nice things for the kids to do. Thanks for the nice review on getting it in gear. These are great activities that my daughter and I can do together! Great mother-daughter bonding time activities!! Thanks!! Cute ideas, but I’ve never heard of kids involved in Mardi Gras. 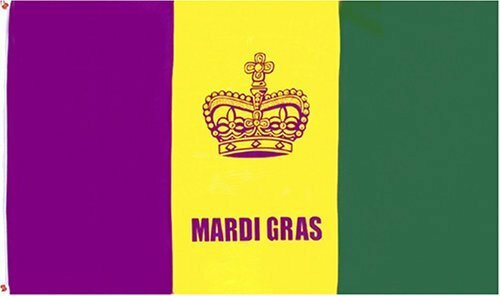 I live in Edmonton, Alberta, so we do not have a Mardi Gras, the closest we have is Klondyke Parade, and i can see where we are missing out on a huge amount of fun… I would love to go to Mardi Gras some day.